You don’t need a pricey grinder or hipster jeans to brew the perfect cup of coffee. 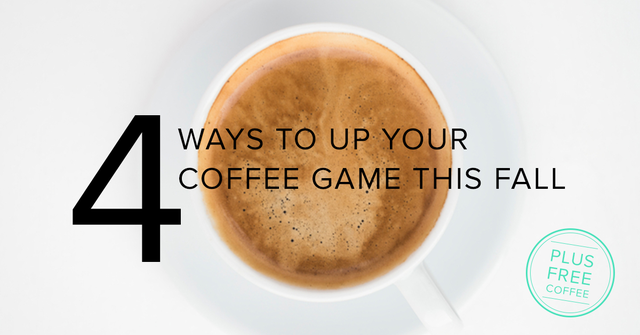 The secret to jealousy-evoking coffee comes down to the key ingredients (spoiler alert): coffee and water. Without further ado, let’s dive in to how you can become a coffee pro without the gadgets and ironic hipster graphic tees. Buy coffees from small batch roasters versus the big guys. Small batch roasters are like gourmet chefs selecting and bringing out the unique flavors in their ingredients (in this case coffee beans). Roasting coffee is an art & science with many variables: temperature, timing, water content, mixture, and quantity. All of these nuances are better controlled in smaller batches. So next time you’re buying coffee give a small batch roaster a try versus the big guys. You’ll discover flavors you’ve never experienced in your average cup of Joe. We promise! Coffee is a seed from a fruit. You wouldn’t eat rotten produce. So why would you swig stale coffee? 2-3 weeks after coffee beans are roasted they begin to lose flavor, aroma, and taste bitter. The bitter taste comes from the sugars and oils leaving the center of the bean causing the bean to spoil on the inside. If you’re like us, and find rotting coffee gross, look for freshly roasted coffee with a ‘roasted on’ date. Run away from coffee bags with expiration dates that are 3-6 months out. They are far from fresh. Grind your beans right before you brew them. Once you grind coffee beans, you have less than 48 hours before they lose their flavor and become the victim of bitterness. You can find individual grinders, and a even a regular home brewer with a built in grinder for reasonable prices. It only takes a few seconds to grind beans yourself, and the difference in taste is priceless. Your coffee is 99% water so using filtered water goes along way in ensuring the perfect morning cup. I’ve experienced coffee made with water high in mineral concentration and it turned great coffee into what tasted like battery acid. If anything, filtered water ensures your coffee doesn’t take like your municipality’s finest. No hipster apparel or fancy brewing contraptions required. It’s hard to lose with freshly roasted whole bean coffee direct from small batch roasters. You can experience freshly roasted coffee, delivered to your doorstep from Bean Box, by going to beanbox.co/thredup. This week, when you place any order with us, you’ll even get your first month of Bean Box free. This post is by Ryan Fritzky, Co-Bean and founder of Bean Box. Bean Box delivers freshly roasted coffee from Seattle’s top roasters. Get your first month of Bean Box free by placing an order with thredUP this week!